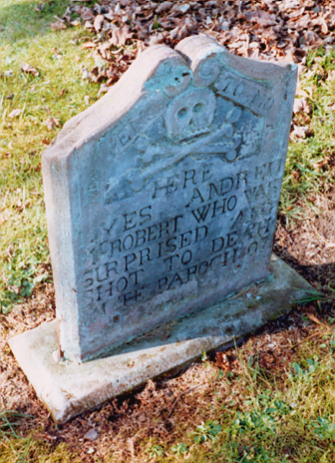 Andrew MacRobert's headstone is a small sandstone memorial, located in the old churchyard. It is adorned with a skull and crossed bones. The stone was restored by the SCMA. Andrew MacRobert was one of the Covenanters who was shot on Kirkconnell Moor on 21 February 1685 by Robert Grierson of Lag.